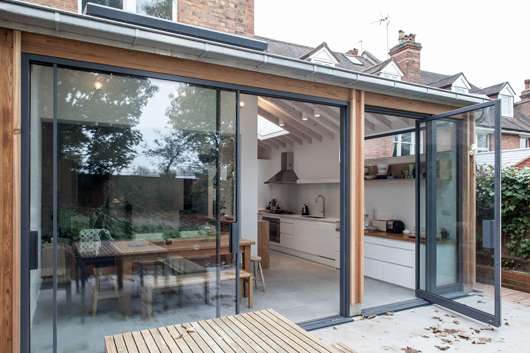 This is a simple rear extension project that uses an arrangement of carefully arranged steelwork and timber structure to open up the ground floor while supporting the building above. 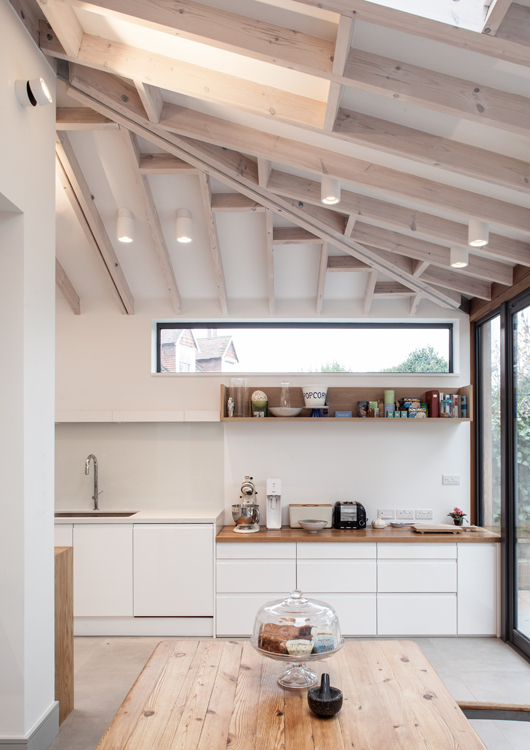 The timber rafters of the new extension roof are expose internally, using flitch beams to trim the large rooflights. 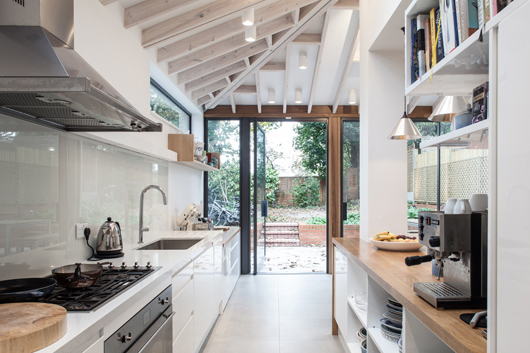 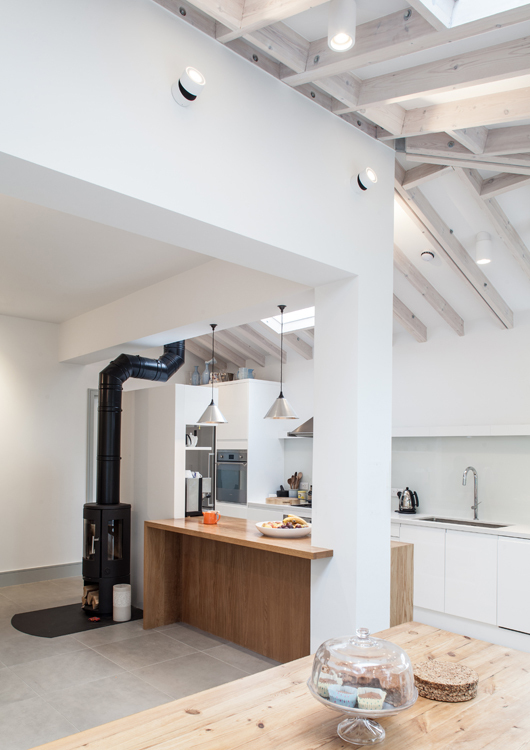 We arranged the timber joists and noggins carefully and detailed all the steel connections sensitively to ensure the final result was aesthetically refined and effortless.